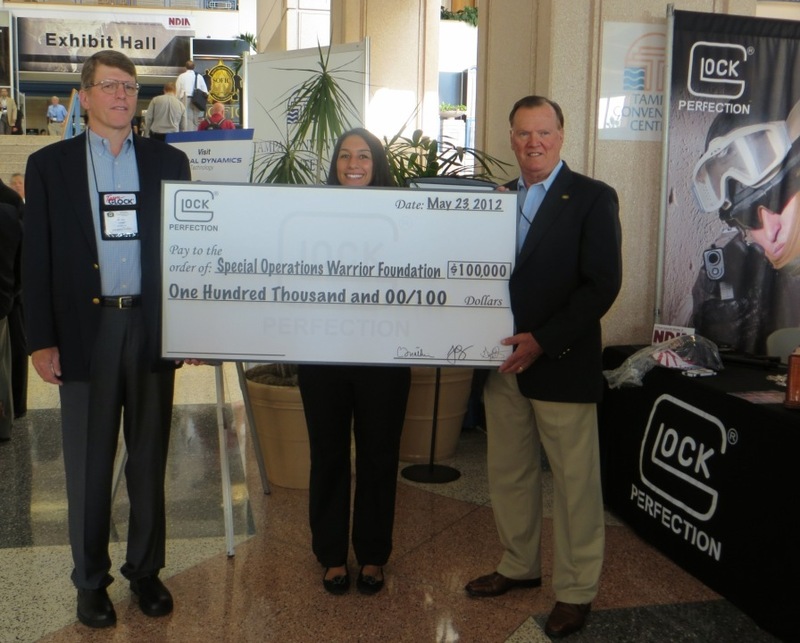 Tampa, Fla. (GunLink) – Adding to its ongoing support of special operations forces (SOF), GLOCK, Inc. made a $100,000 donation yesterday to the Special Operations Warrior Foundation (SOWF) during the Special Operations Forces Industry Conference (SOFIC) held in Tampa, Fla. The money will be used to directly support the families of fallen and wounded Army, Navy, Air Force and Marine Corps special operations personnel. 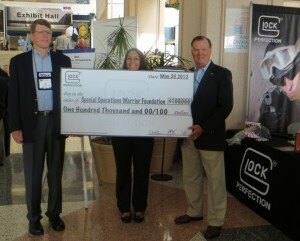 The donation was made during a special presentation at the GLOCK exhibition booth at the Tampa Convention Center.